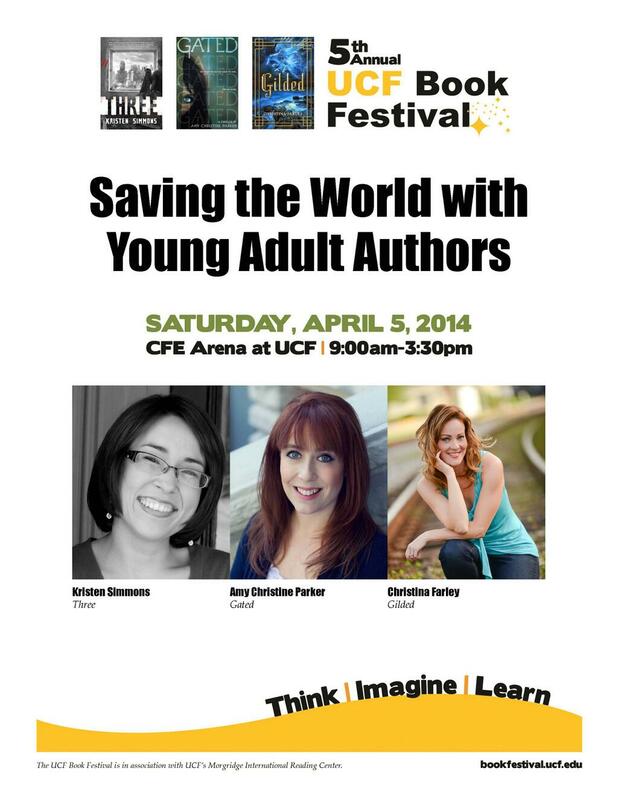 I’m super excited about attending the UCF Book Festival tomorrow. I’ll be on the YA panel with Kristen Simmons and Amy Christine Parker starting at 10 am. Then I’ll be signing right after that. It should be a great event with concerts, games for kids, books, cooking classes, storytelling, and a live-action game based on the book Divergent!